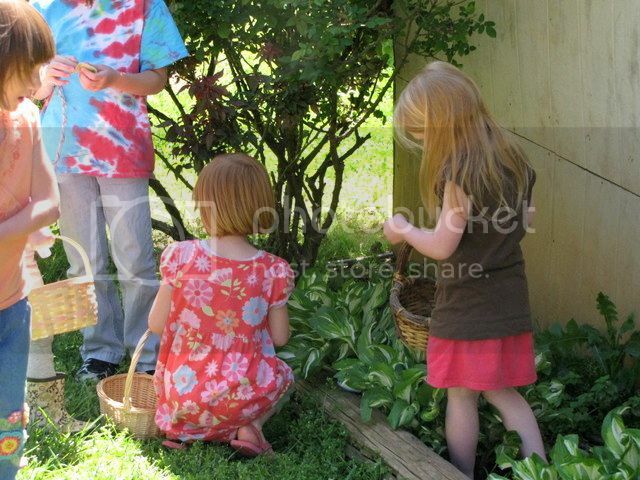 Something that really makes me sad, though, is a child with an empty basket while others are brimming over. I just couldn't let it happen. 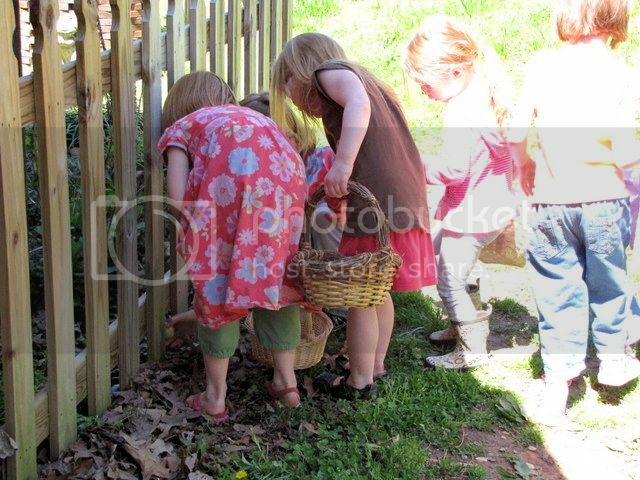 Here I sat, just a couple of days ago, Googling 'how to make Easter egg hunt fair'. Seriously. When all else fails, Google it! I did find some good suggestions but didn't feel like they applied to our hunt. 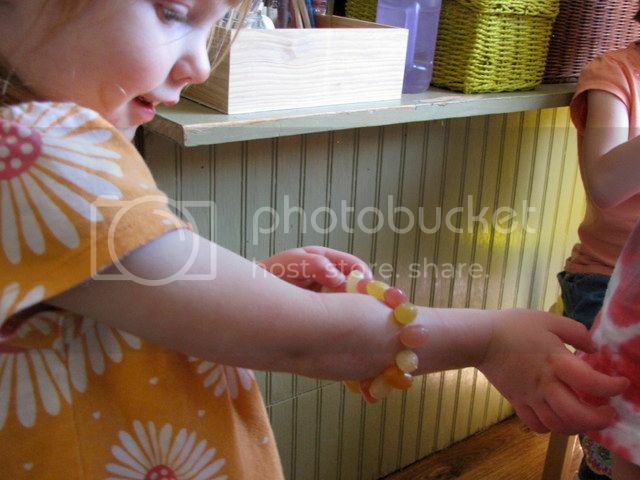 Like, give each child a color. 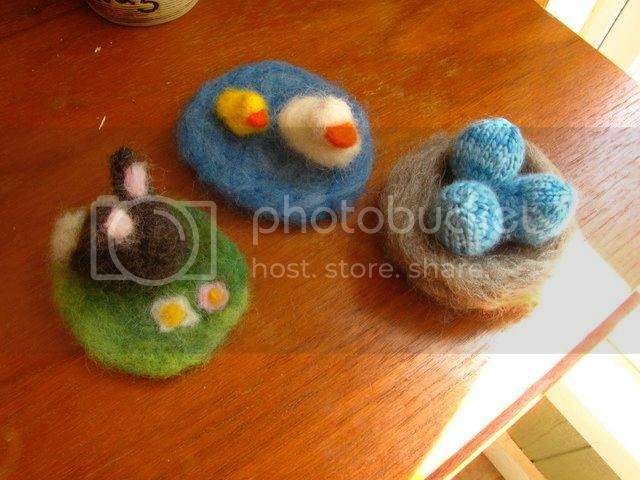 But we had wet felt eggs, real hollowed eggs and the sewn felt ones I made. 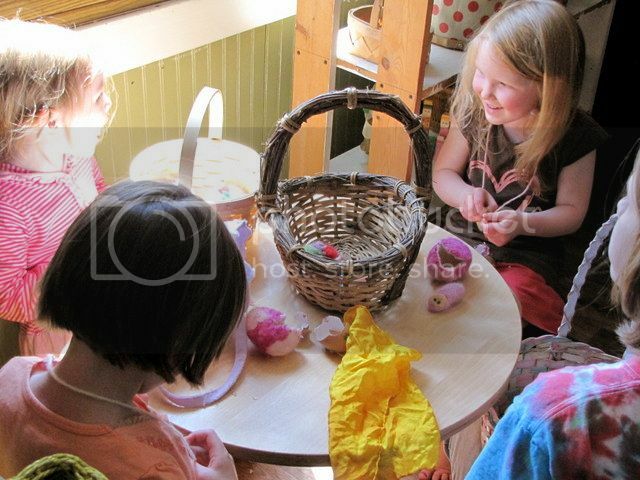 So, since I knew exactly how many children there would be I made six nests of like eggs (jelly beans together, lavender necklaces together) and the girls (most of my friends have girls) all worked together to find the nests. Of course, this means I had to make them a little harder to find than I normally do. It worked out really well! 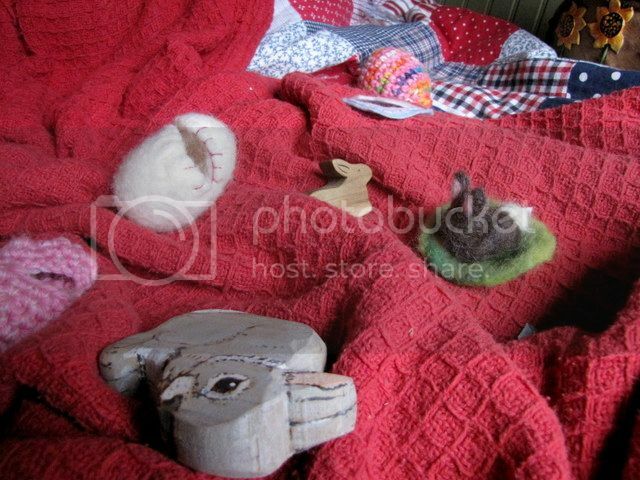 More Easter crafting, The little felted duck pond and rabbit were for Kaiya and Zoe's baskets and the birds nest for our nature table. I used this pattern for the eggs. 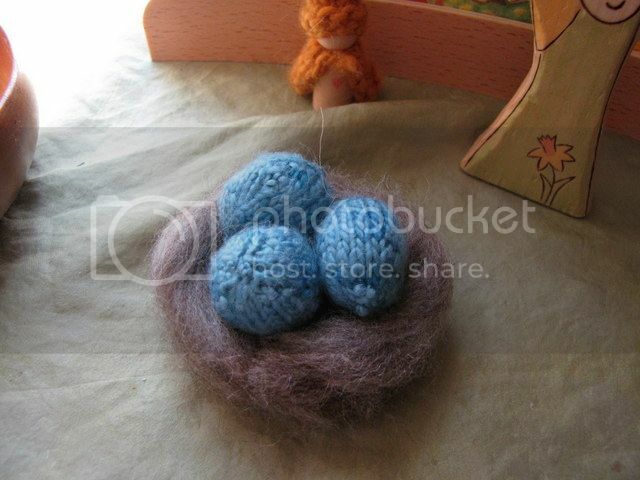 I made six of these little babes in their wool cradle for the egg hunt. I got the idea from here. 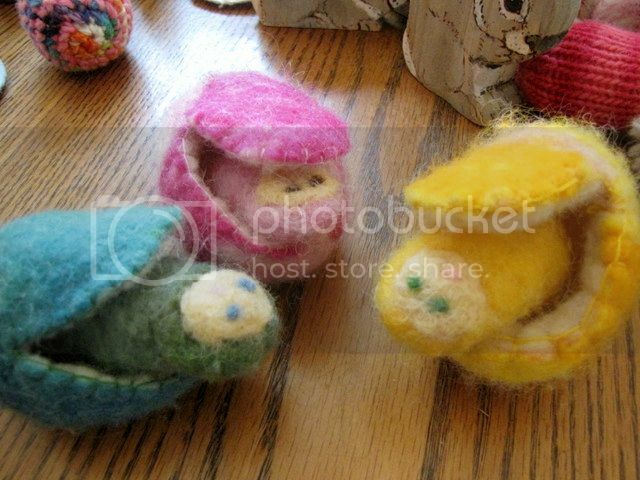 I'm not even close to being talented with needle felting so, while I normally prefer no face, I thought they might not be able to tell they're babies (they still look like owls) so they got eyes and mouths. 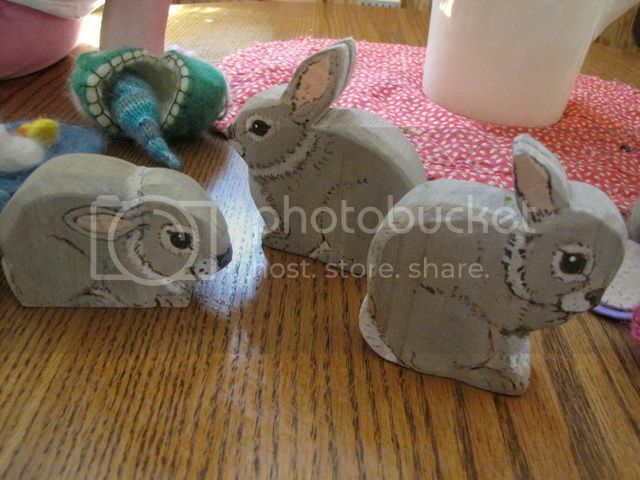 And these beautiful rabbits were made by Lucinda. I love these! Happy Easter to you all who celebrate and happy Spring! Congratulations! I will contact you in just two shakes of a lamb's tail and you have through 4//10 to get back with me.